Saturday December 8, 2018-The Queens Counsel (QC), Khawar Qureshi, has disclosed his strategy to stem corruption out Kenya once and for all. Speaking yesterday while attending a Plea Bargaining workshop in Naivasha, Qureshi, who has been contracted by the Director of Public Prosecutions (DPP) Noordin Haji to help him with the war on graft, gave a compelling argument based on the UK experience on the effectiveness of lawful seizure of unexplained assets to discourage grand corruption. 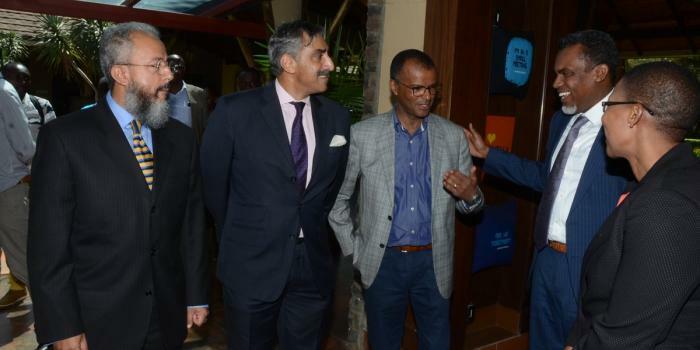 According to Qureshi, the Criminal Finances Act which introduces new measures to tackle asset recovery and money laundering in the UK, is however, not observed in Kenya, a situation DPP Haji confirmed to address in the fight against corruption. The UWO requires the respondent to explain how he lawfully acquired his assets if not the information is used in a separate civil recovery of the assets. Qureshi’s strategy is already causing some sleepless nights among the corrupt and has impressed the DPP who promised to implement it here in Kenya in the ongoing war against corruption.